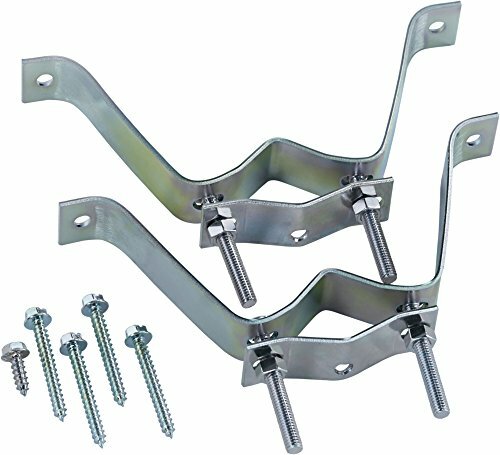 8 inch Wall Mounts ( Set of 2 ) For TV, CB, Amateur Ham and Two Way Antenna Mounting. 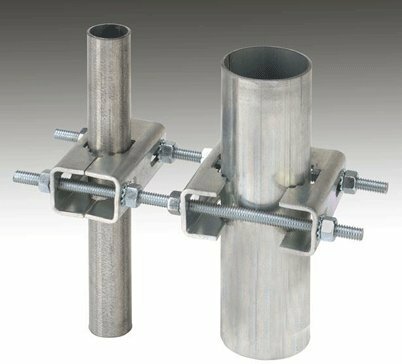 Holds Optional Mast Pipes up to 1.5 inch diameter , 8 inches from wall. Includes U-Clamps and mounting bolts. Vansky Universal TV Antenna with J-Mount Bracket All acessoried you need to mount your outdoor antenna / satellite dish to your roof is included. Universal Outdoor TV Antenna Mounting Pole universal Outdoor TV Antenna Mounting Pole is a quick and economical mount for adding antennas to any mounting situation. It can quickly adapt to many different pole installations: the mount can be set up for roof, attic, or sidewall installations. Installation 1. 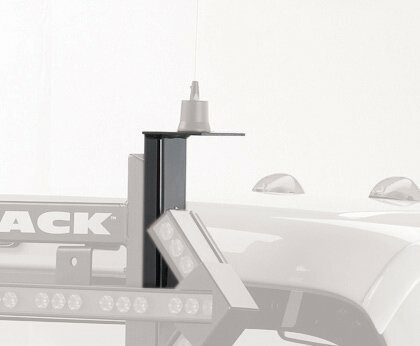 Select a desired mounting location. 2. Place the mast through the mounting base of the J-pole. 3. Level up the mounting base and then mark the pilot holes to be drilled with a marking pen. 4. Drill the pilot holes (with a drill bit about half the diameter of the bolt) into the marked areas. 5. Line up the holes of the mounting base of the J-pole with the drilled holes. 6. Drill and then secure the lag bolts into the pilot holes. 7. If necessary, you may adjust the direction of the mast by loosening the two lateral nuts on the mounting base of the J-pole. Our Warranty At Vansky, we stand strongly behind the craftsmanship of Our Brand Products. That's why we back them with 45 Days Money Back & One Year Hassle Free Guarantee and provide Friendly, Easy-to-reach Support. 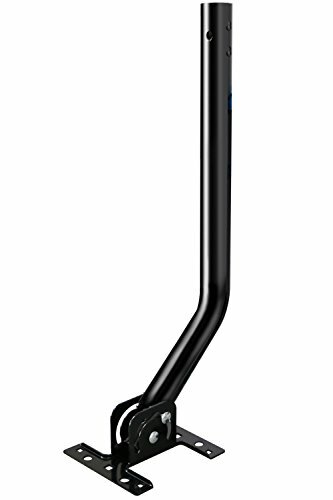 Top-of-the-line components mean this CB antenna cable will deliver the powerful signal your active lifestyle demands. Another great innovation from RoadPro, your trusted travel companion, providing everything you need for on-the-go living. KingKKong Outdoor TV Antenna Stand KK-03 is specially designed outdoor antenna. Convenient and easy to position the antenna outside. 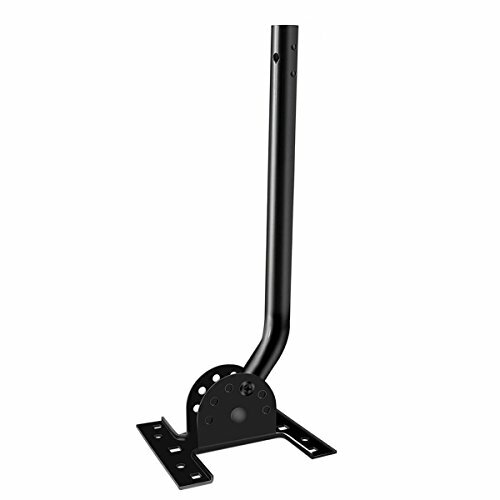 Specifications Arm length: 485mm Fixing plate: T1.5mm Diameter: 30mm Weight: 1.1KG Perfect Antenna Stand The KK-03 universal Outdoor TV Antenna Mounting Pole is a quick and economical mount for adding antennas to any mounting situation. It can quickly adapt to many different pole installations: the mount can be set up for roof, attic, or sidewall installations. Locate Digital TV Broadcast Towers The distance from the broadcast towers will vary based on the location of your home. Visit http://dtv.gov/maps or http://www.tvfool.com and enter your address or zip code for details about the towers near you. This information will assist in selecting the correct antenna model and aiming your antenna for the best results. Buyer Guarantee KingKKong 12 months Warranty assures you of its superior build quality. Note: Get 1byone mounting pole for easier installation. 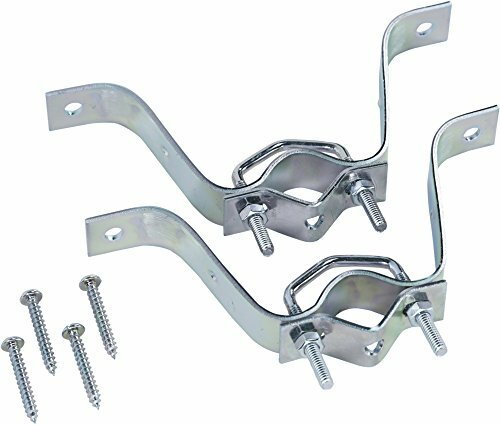 Backrack Antenna Mounting Brackets are designed to accommodate two way communications antennas. They are made from high quality material that ensures long lasting durability. 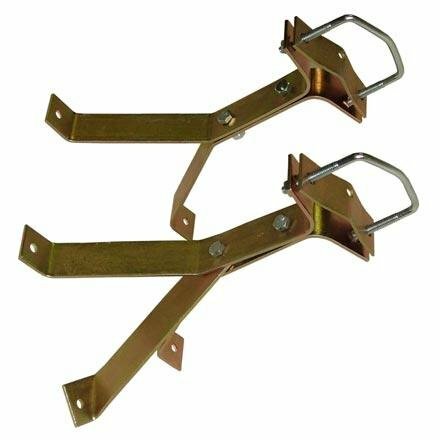 These brackets are corrosion resistant and facilitate easy installation. Heavy Duty Pole to Pole Mounting Hardware The EZ-HD-PTP is to be used with Ambient's EZ2-35W2MC. Mount a EZ2-35W2MC to an existing sturdy mast (such as a radio/TV antenna, flag pole, etc.) with a stand off. Stand off varies depending on diameter of existing mast. Important Note: For additional stability, it is highly recommended that you order two of the EZ-HD-PTP mast to mast mounting kits at a time. The Channel Master CM 9025 is a heavy duty 3 inch wall mount designed to handle large diameter masts and withstand wind forces. 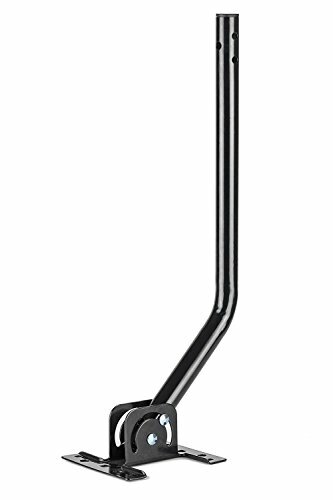 The Channel Master 9025 wall mount offers heavy duty steel construction and has 3 inches of standoff from the wall to allow the antenna mast to clear roof overhang. The CM 9025 includes lag bolts and can support a mast up to 2.5 inches in diameter. Channel Master recommends using guy wire for all antenna installations using masts over 10 feet. pingbingding Mounting Pole for TV Antenna1. Outer Diameter is Max. 1 inch 2. Total Length 16.5 in . 3. Thickness 0.07 in .4. Come with all screws and plastic components, super easy to assemble.